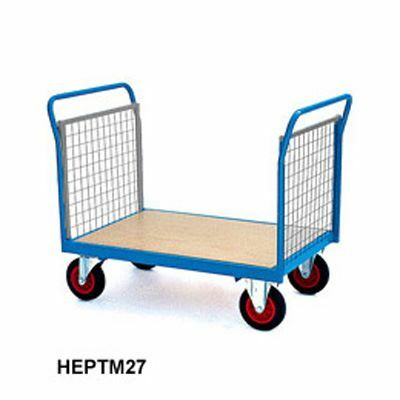 Platform truck with optional zinc mesh side and end panels. 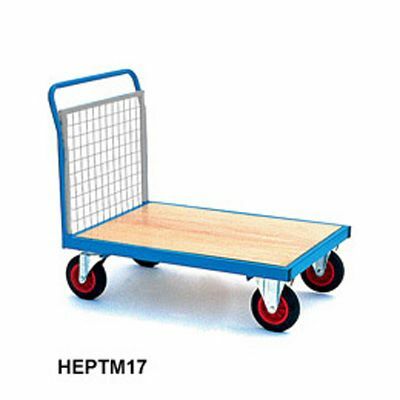 Once fitted, the panels can be easily and quickly removed if required, making it extremely adaptable and useful for transporting a range of items. 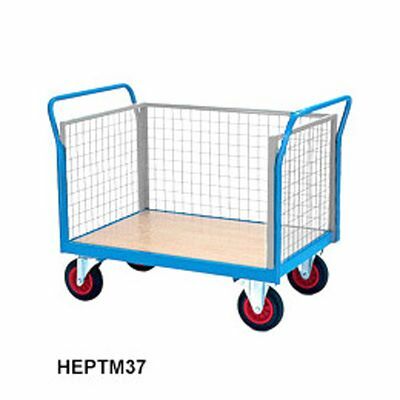 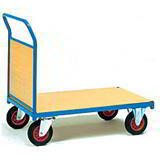 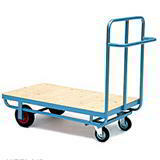 This is a reliably sturdy, heavy duty platform truck with a substantial 1000 x 700mm timber deck and an all-steel welded frame with a blue epoxy finish. 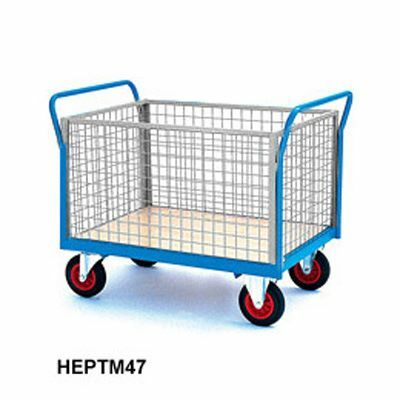 It can bear a load of up to 500kg and even when loaded to capacity is easily manoeuvred around the busiest warehouse, factory or shop floor.